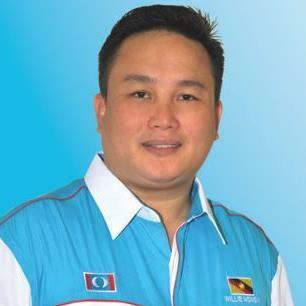 KUCHING: Puncak Borneo MP Willie Mongin has openly disagreed with the plan by the federal government to pay out oil royalties based on profit to oil-producing states such as Sarawak. In his debate speech at the Dewan Rakyat on Thursday (July 26), Willie said he made this stand not because of ‘lawan tauke’ (rebelling against the boss) in Pakatan Harapan, but he did it to ensure rights of Sarawakians are protected. He pointed out that as representative of the voice of people in Puncak Borneo and Sarawak, he disagreed with payment of royalty based on profit because this contradicted with the pledges in the PH manifesto. “I wish to inform my comrades not to label me as ‘lawan tauke’. I am not doing this to ‘lawan tauke’. Let our differences of opinion become a way to build up our strength so that we can better safeguard the people in order to achieve a fairly prosperous Malaysia. “I am not like those Barisan Nasional leaders who are afraid, who shrink from voicing out for their people, in fear of their ‘tauke’. “I was elected by the people, I am serving the people and I will continue to voice out for the people in the Dewan Rakyat,” he said when debating the royal address at the Dewan Rakyat. He nonetheless agreed with the statements made by Prime Minister Tun Dr Mahathir Mohamad that the royalties must be utilised by the state governments for development purpose only and not to be used for political purpose. He also agreed with Economic Affairs Minister Datuk Seri Azmin Ali’s statement for the matter to be discussed further at the negotiations table in order to formulate a win-win situation.l based on the Section 4 of the Petroleum Development Act 1974. “We the Sarawakians and Sabahans, the people of Kelantan and Terengganu, are not requesting the moon and the sky. But we only request what is due to us. Nothing more, nothing less. “Therefore, I call for the mechanism of the royalty payment to be refined. And the payment of 20 percent royalty must be based on revenue in line with the pledge in the PH manifesto,” he said.